Clear, radiant and healthy-looking skin is only a flash away! Intense Pulsed Light (IPL) remains the preferred method for improving color, clarity and firming of the skin. Using different coloured light from across the light spectrum, IPL treatments quickly, safely and comfortably improve your skin's texture, tone and complexion, whether on your face, chest, hands, legs, back or arms. 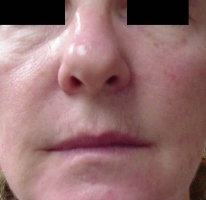 IPL reduces the visible signs of aging and sun damage including irregular pigmentation, age spots, enlarged pores, increased capillaries and facial redness (Rosacea). After your first treatment, brown pigmentation will be smaller and lighter, any redness will be less noticeable, and broken blood vessels will be smaller and less visible. Signs of sun damage and age spots will typically flake off after one or two treatments, and capillaries and skin redness dissipate – leaving you with clearer, younger-looking skin. You will also notice your skin is tighter and firmer as a result of the IPL stimulating your fibroblasts, the cells that produce collagen. Collagen turns over every 2 to 3 months, so clients looking for firm, plump, uniform skin should have maintenance treatments every 2 to 3 months. 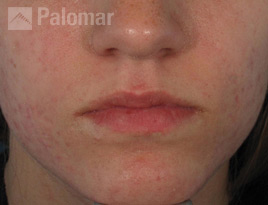 When treating redness, Rosacea, or veins in the skin, IPL is targeted to the red color in the skin. The IPL heats up the blood under the skin and coagulates (cuts off blood flow) to the broken or enlarged vessel. 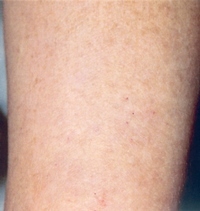 After the first treatment you will notice your veins are smaller and less red. To treat Rosacea, most clients require 2 to 5 sessions at least 4 weeks apart, with maintenance treatments every 3 to 6 months. When treating irregular pigmentation, the IPL is targeted to the pigment (sun damage) under your skin. The IPL heats up that pigment and pushes it to the surface of the skin. After your treatment the pigment will be darker but will lighten and exfoliate off the skin in 7 to 10 days. Most clients need 2 to 8 sessions every 4 to 12 weeks, with maintenance treatments every 3 to 6 months, depending on the area treated and the color of their skin. If you want to achieve clearer skin with fewer acne breakouts on the face, chest or back, IPL is an excellent option that requires no antibiotics. Using blue light, IPL destroys p.acne bacteria in the pores to neutralize bacterial breakouts. To reduce acne breakouts, most clients require 2 to 8 sessions every 1 to 2 weeks for 2 to 4 sessions, with maintenance every 1 to 3 months or until desired results are achieved. Our clients are extremely pleased with the results they see after receiving IPL treatments. Your first step to a successful treatment outcome is a pre-treatment consultation. A consultation will provide you with the nformation you need to make the treatment choices for your needs. It also provides your clinician with the information needed to determine the best course of laser treatment for your desired outcomes. During your consultation, be prepared to provide information about your medical history and your goals for the procedure. This is also a good time to get answers to your treatment questions and to discuss treatment costs. Before your treatment, your provider may measure the melanin in your skin to adjust laser power to your specific needs. 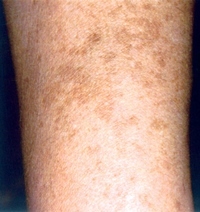 This can be done by a visual exam using the Fitzpatrick Skin Type evaluation. Assessing the condition of your skin is essential to avoid over-treatment or under-treatment-and helps ensure the best aesthetic outcomes. Your provider will work with you to help ensure your comfort and safety throughout the procedure. You may purchase a topical anesthetic to help manage your comfort. During treatment, your clinician will move a hand piece over your skin, which will pulse as it emits the laser light. A flashing light, an audible tone, and a mild sensation on the skin will tell you when the hand piece is being pulsed. Post-treatment recovery varies depending on your type of laser treatment and your medical history. Your clinician will provide you with specific after-care instructions. Below are some general guidelines for what you can expect as you heal. After your treatment, expect to be able to resume your normal daily activities. 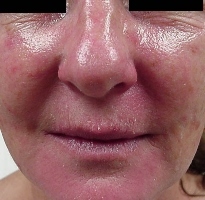 You will notice redness at the treatment site, which should resolve in a day or two or up to 72 hours after treatment. You can manage any discomfort that you have with wrapped ice packs or gel packs (do not apply ice directly to skin). Your doctor may also recommend an oral, over-the-counter anti-inflammatory (ibuprofen) or analgesic (acetaminophen) to reduce discomfort. Use the medicine according to your doctor's recommendations. Sun exposure and tanning on the treated area. Apply an SPF 45 with zinc oxide or greater sunscreen to prevent injury to the treatment area and to prevent changes in pigmentation. Swimming, especially in pools with chemicals such as chlorine. Hot tubs, Jacuzzis, and saunas. Activities that cause excess perspiration or any activity that may raise your core body temperature. Aggressive scrubbing and use of exfoliates on the treated area. 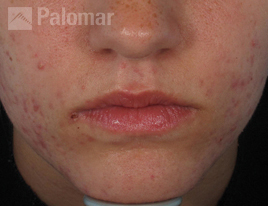 You may notice that the treated pigmented lesion looks raised and/or darker with a reddened perimeter. This is normal and the lesion will gradually turn darker over the next twenty-four to forty-eight hours. It may turn dark brown or even black. The lesion will progress to darkening and/or crusting and will start flaking off in an average of seven to twenty-one days. The lesion will usually heal in twenty-one to thirty days. It will continue to fade over the next six to eight weeks. Do not to pick, remove, or pull at any darkened lesions, as scarring may occur. The vessels may undergo immediate graying or blanching, or they may exhibit a slight purple or red color change. The vessels will fully or partially fade in about ten to fourteen days. Schedule a follow-up appointment for evaluation. Repeat treatments may be performed every seven to fourteen days if skin has fully recovered. One to four treatments may be necessary seven to fourteen days apart. Do not pick, remove, or pull at any darkened lesions, as scarring may occur. Immediately after skin resurfacing, you will notice oozing or weeping at the treatment site that will take between three and eight days to heal; however, most people take several weeks to heal before returning to work and social obligations. The treatment site will be covered and dressed for several days to prevent infection. As your skin heals, you may notice crusting, scabbing, and swelling. You can minimize the crusting and scabbing by applying Polysporin to the treatment site several times throughout the day. Your clinician will provide you with products for pain control. Your skin may look red for up to three months following the procedure and will gradually fade over time. You might also experience peeling and itchy skin at the treatment site in the later stages of healing. You will need to schedule a follow-up appointment a few days after the procedure and several more follow-ups as indicated. Applying cosmetics to the treated area for at least 10 days.